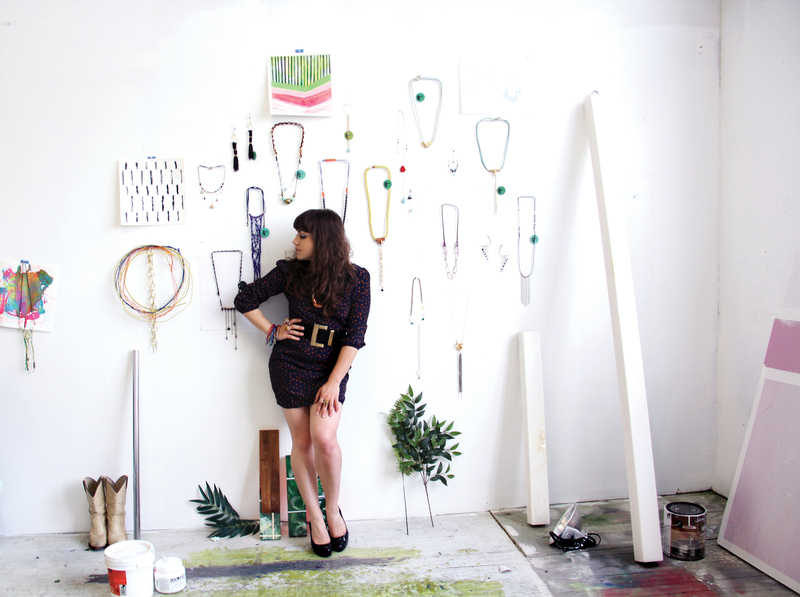 My nOma is a high fashion jewelry line, created by the artist and designer Nora Maité Nieves, located in Brooklyn, NY. Nora received a Masters degree in Fine Arts from the School of the Art institute of Chicago. Her training in fiber and material studies informs her eclectic and free spirited designs. The use of vibrant color, sensitivity to texture, uncommon materials, and attention to detail, are also a consequence of Nora’s studies in painting and graphic design, as well as her upbringing in the Caribbean. There is nothing that Nora enjoys more than creating new and original concepts. By questioning the final product, she often arrives at surprising new directions. My nOma’s whimsical and asymmetrical designs are eloquent and expressive, while challengingly unconventional. Each piece is a one of a kind, hand-made original. My nOma takes great pride in the selection of quality materials, skillful crafting, as well as a highly original, and adventurous spirit.